Fall is the time for all things pumpkin spice…and this Pumpkin Spice Mudslide is about to become your new favorite! 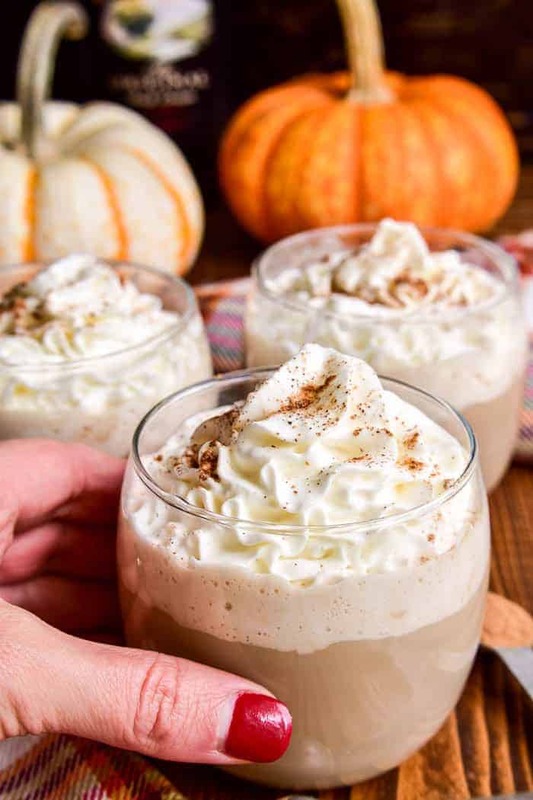 This drink combines all the flavors of the classic mudslide cocktail with a pumpkin spice twist. 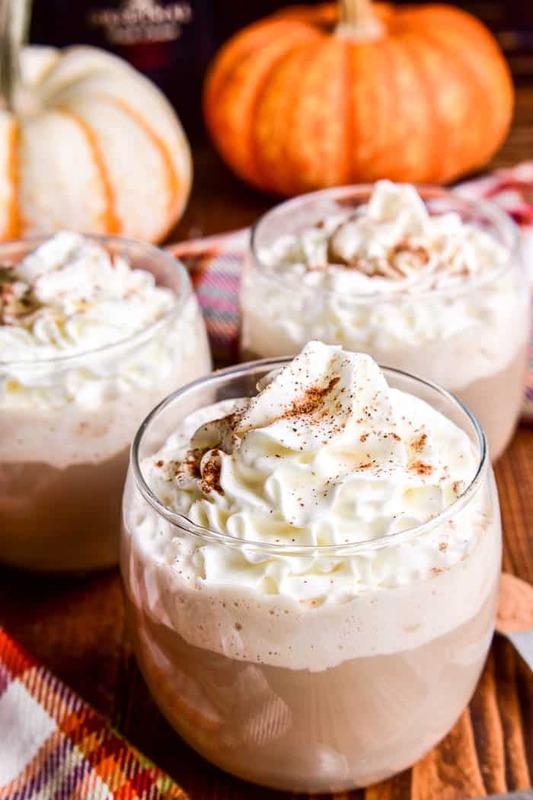 Perfect for fall gatherings or cozy nights by the fire, if you love mudslides you’ll fall in love with this fall version! So. We finally did Disney World. After more than a decade of waiting for just the right time…we finally decided it was now or never. Our kids range in age from 4-12, and to be honest? I feel like now was the absolute perfect time. There were no nap schedules to deal with, the meltdowns were kept to a minimum, and everyone had a blast. We spent 5 days at the parks, dined with princesses, attended a luau, and went on a private fireworks cruise. And….of course….went to Mickey’s Halloween party! I have to admit. Celebrating fall when it’s 90 degrees and humid doesn’t feel quite right. Especially considering the fact that here in Wisconsin its 55 degrees and cloudy. There’s something about the cooler weather that makes me ready for fall and everything that goes along with it. Namely? Pumpkin spice. I love pumpkin spice any way I can get it…whether it’s Pumpkin Spice M&M Cookies, Pumpkin Spice Latte Dip, or a delicious Pumpkin Spice Smoothie. And this Pumpkin Spice Mudslide is an obvious favorite. After making Eggnog Mudslides last year, I realized that they really are the perfect base for any type of flavor. And with fall officially upon us, I felt it was only right to make a pumpkin spice version! It takes just minutes to mix up and can be made as a single serving or by the pitcher for holiday parties. And best of all? It totally doubles as dessert. It’s sweet, creamy, and tastes like a combination of french silk and pumpkin pie. In other words, it’s like a little taste of heaven. 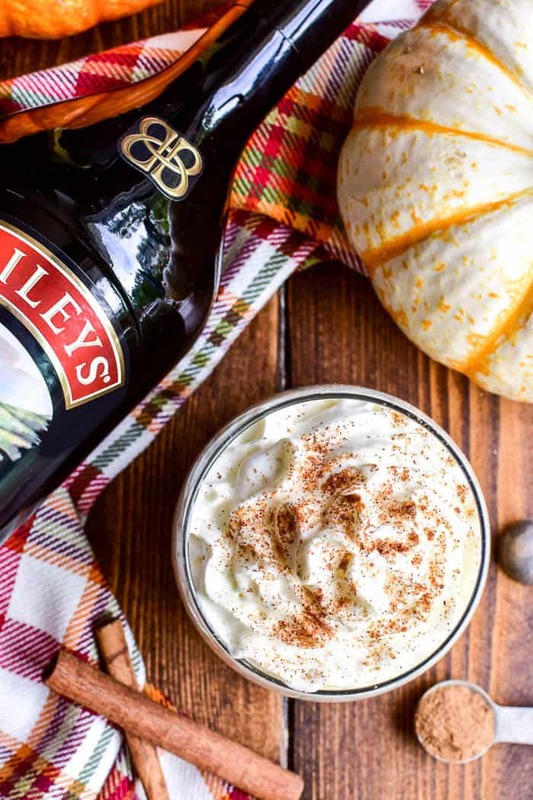 HOW DO YOU MAKE A PUMPKIN SPICE MUDSLIDE? In a cocktail shaker, combine 3 Tbsp. Baileys Irish Cream, 2 Tbsp. vodka, 2 Tbsp. Kahlua, and 1/4 tsp. pumpkin pie spice extract. Strain cocktail into a chilled glass. Top with whipped cream and sprinkle with pumpkin pie spice. WHERE DID THE MUDSLIDE ORIGINATE? The original Mudslide was allegedly invented during the 1950s at the Wreck Bar on Grand Cayman in the Cayman Islands. It was typically frozen and made with a bottled mix. 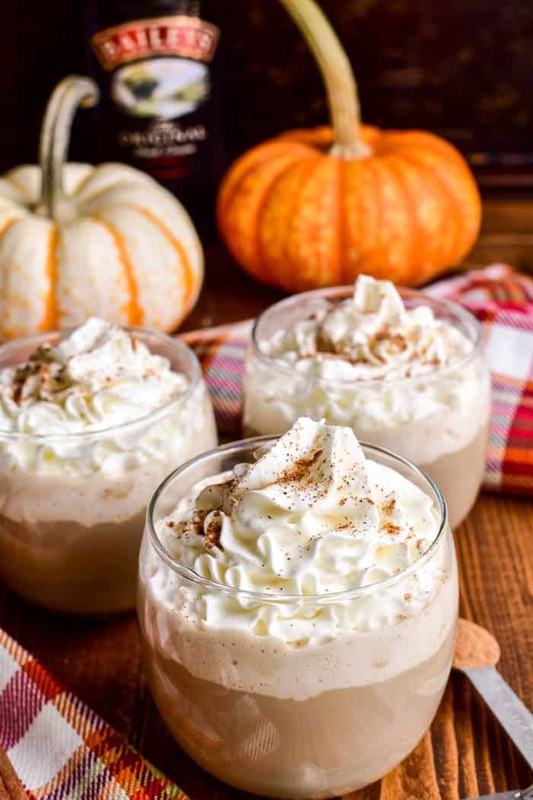 HOW DO YOU MAKE A FROZEN PUMPKIN SPICE MUDSLIDE? In a blender, combine 3 Tbsp. Baileys Irish Cream, 2 Tbsp. vodka, 2 Tbsp. Kahlua, 1/4 tsp. pumpkin pie spice extract, and ice. Blend until smooth. In a blender, combine 3 Tbsp. 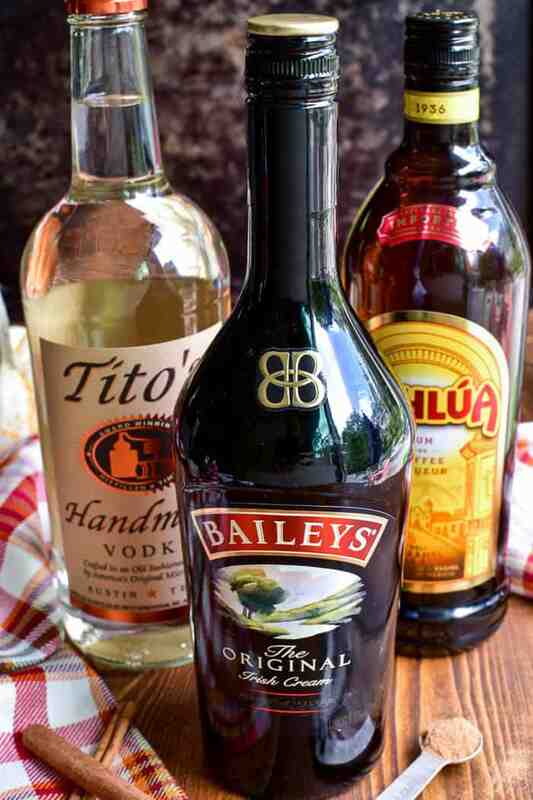 Baileys Irish Cream, 2 Tbsp. vodka, 2 Tbsp. Kahlua, 1/4 tsp. pumpkin pie spice extract, vanilla ice cream, and ice. Blend until smooth. Fall is the time for all things pumpkin spice...and this Pumpkin Spice Mudslide is about to become your new favorite! 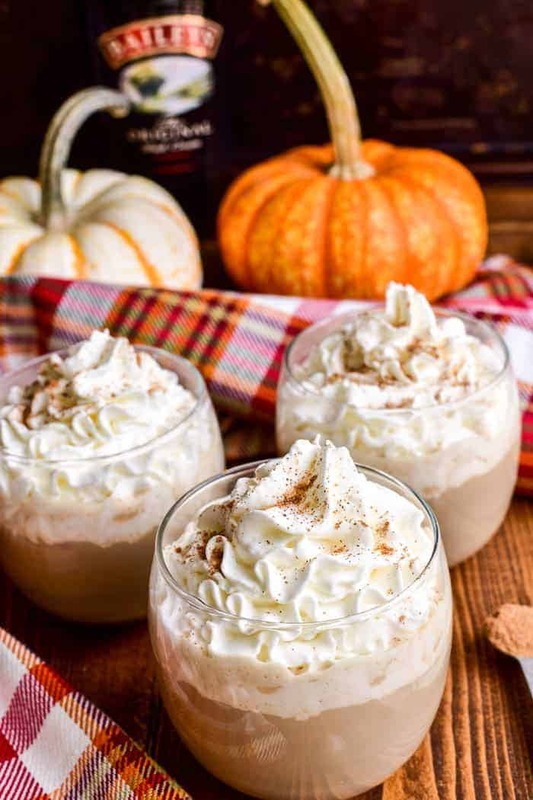 This drink combines all the flavors of the classic mudslide cocktail with a pumpkin spice twist. Perfect for fall gatherings or cozy nights by the fire, if you love mudslides you'll fall in love with this fall version! Combine ingredients in a cocktail shaker with ice. Shake well; strain into a chilled glass. I’ve never heard of Pumpkin Spice Extract. Is it something I need to make or can I find it in my usual grocery store? What’s the recipe to make a whole pitcher?